Microsoft Surface Book 2 Detailed Specs - Everything you need to know! Keyboard and Trackpad - Precision trackpad: 105 mm x 70 mm, glass. - Mechanical friction attaches the Clipboard to the keyboard. - Full-size backlit keyboard with soft touch feel and full 1.55mm travel. 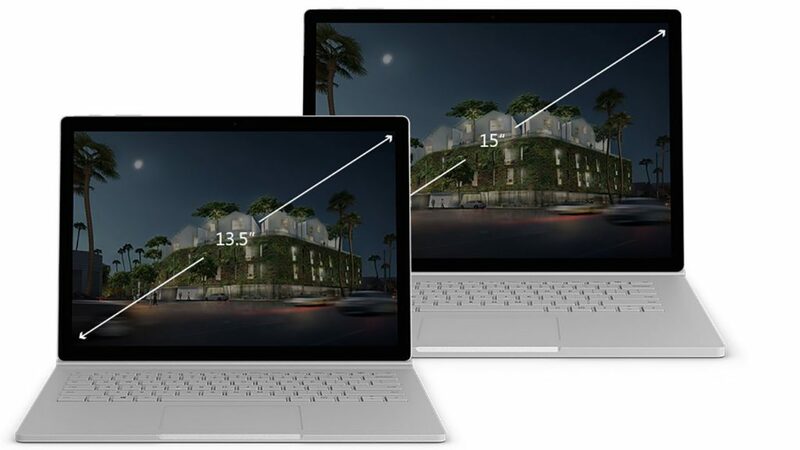 Related Topics Surface BookSurface Book 2Surface Book 2 13.5"Surface Book 2 15"
We appreciate hearing your thoughts, questions, and ideas about “Microsoft Surface Book 2 Specs – Full Technical Specifications”. Please post respectful comments and on topic. We will be replying back to you as soon as possible. Share your idea about "Microsoft Surface Book 2 Specs – Full Technical Specifications". What does g sync ready means? Can you use g sync with the SB2 and an external g sync monitor? And in that case through which port (because the port needs to be directly link to the Gpu right?) ? Do I need the surface dock to do so? As your concern, The GTX 1050 and 1060 does supports G-SYNC technology. However, all display outputs are wired through the Integrated GPU. And the dGPU is only used for rendering only. So far as I know I think you can’t take advantage of G-SYNC monitor with the Surface Book 2. Oh I see, thank you for your answer as well as your article!